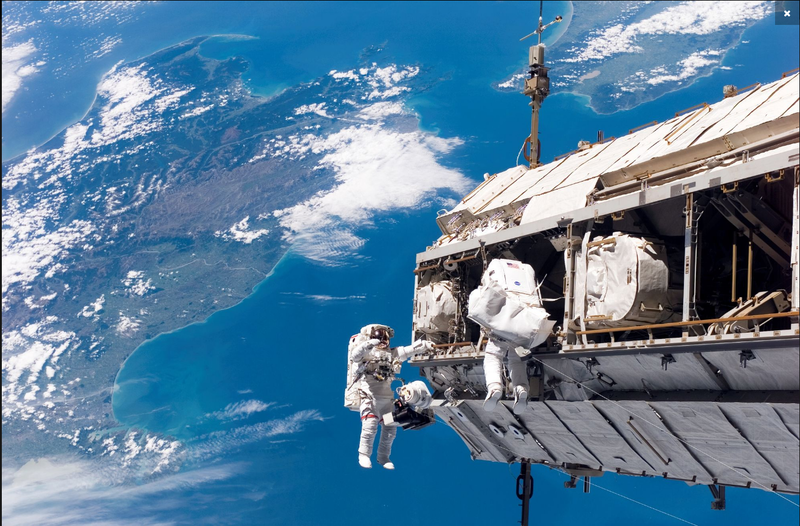 Astronauts outside the International Space Station are missing the view of the Strait of Gibraltar, 250 miles below. 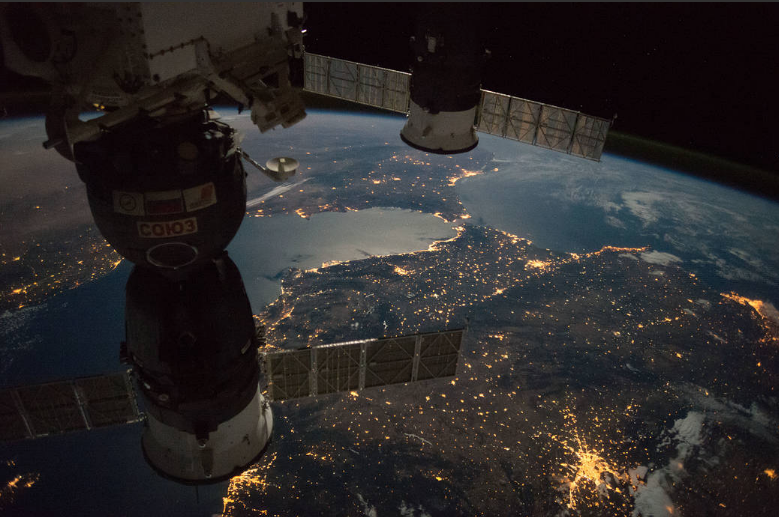 That's Europe on the left; and Africa (right). 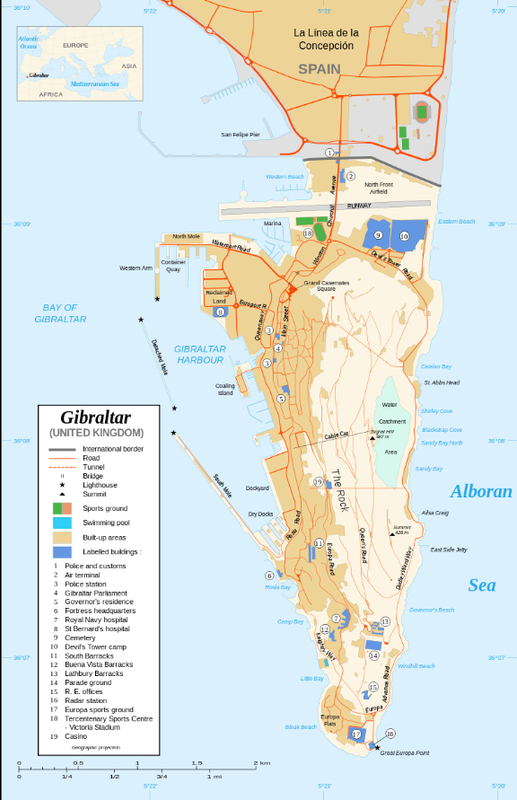 Gibraltar is the thin peninsula barely connecting with Spain. Gibraltar as seen from Spanish airspace. 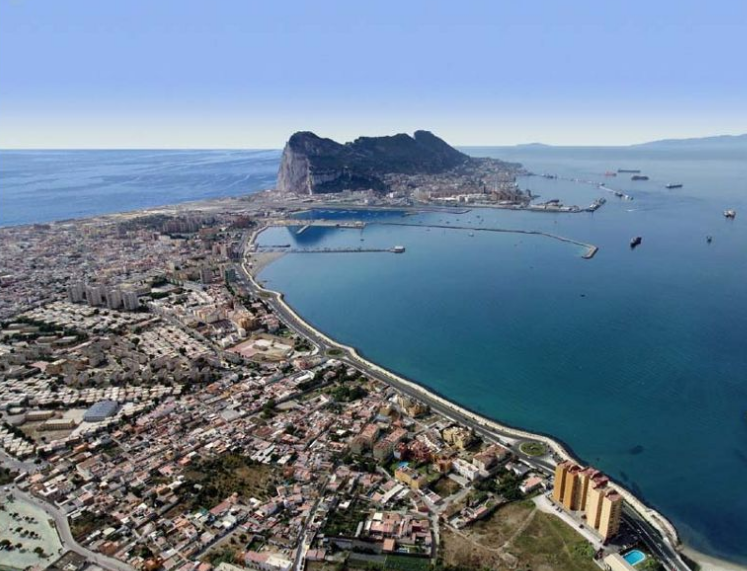 The international border follows the line of the middle pier between the airport (UK) and the first pier (Spain). 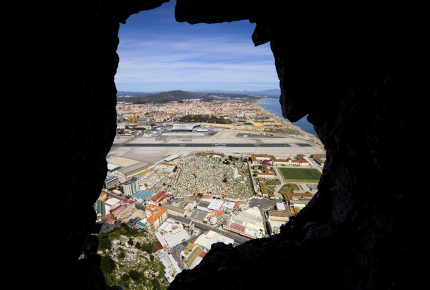 The view at the top of this post shows Gibraltar from 250 miles in Space; in this image we see from a cave in the Rock of Gibraltar 250 feet below the top of the rock. 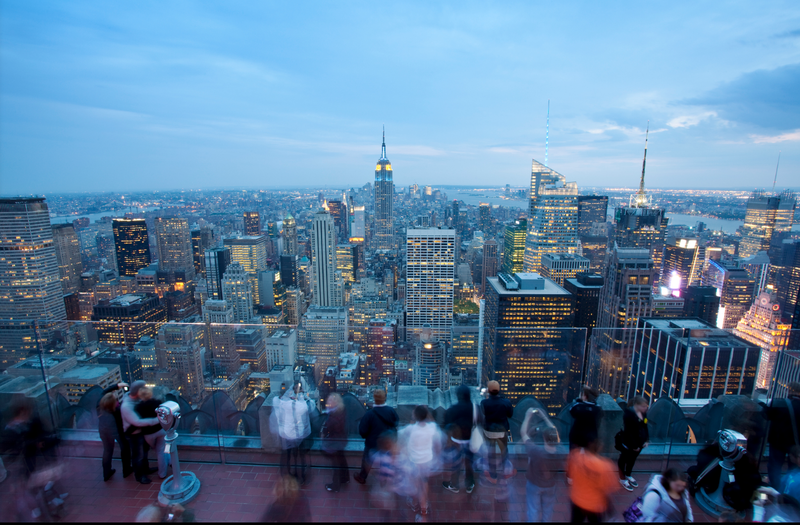 OPPS, WRONG TOP OF THE ROCK. NEVERMIND.